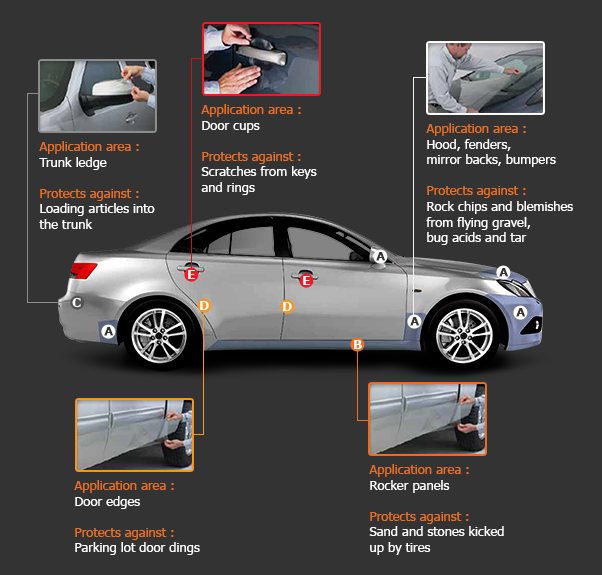 What is 3M™ VentureShield™ Paint Protection Film? Our protective product is an extremely durable, colorless urethane film that is applied to high-impact, vulnerable areas of your vehicle. 3M™ VentureShield™ Paint Protection Film Protects your paint from road hazards such as flying gravel, bug acids, tar and scratches from keys or rings. Trust the strength and durability of 3M™ VentureShield™ Paint Protection Film. 3M™ VentureShield™ Paint Protection Film is available in 60” width.